Picture this: you’ve spent months researching the power of starting a website for your small business, and finally decide it’s time to pull the trigger and get a site built for your brand. You hire a web designer to handle all of the technical aspects of things, sit back, and wait for the final results. After your website has been live for a few weeks, you get an email in your inbox threatening legal action, open the email, and learn it’s from a photographer who demands that you remove their imagery from your site or they will take you to small claims court. You are baffled, since you trusted your designer to be professional and not break the law and since you figured they would be on the hook for any legal infractions anyways. So what should you have done differently? And what’s really going on here? The answer to both questions lies in cheap stock photos. When you hire a web designer or developer to build a website for you, you should be able to trust that they know what they are doing enough to avoid any illegalities. But at the end of the day, you are going to have to do more than just trust in a designer’s or developer’s qualifications and experience. You are going to have to go through your site and check every piece of content for licensing issues yourself, because at the end of the day, it’s your neck on the line. I’ll explain why, and then share some ideas on how cheap stock photos can save you from a potential legal guillotine. Contrary to popular belief, you can’t just use any images you find on the internet to make your website look more graphically appealing. Every image is the intellectual property of the artist who captured it, and by using images without the permission of the photographer who that image belongs to, you are breaking the law. And if your designer pulled all of the images on your site off of Google images or found them online, there’s a good chance that you don’t have the artist’s permission to use them. Of course, a good web designer or developer should know this. But sometimes the people you choose to work with look great on paper but aren’t as qualified as they pretend to be, or don’t know the ins and the outs of the law like they should. But when this happens and an image ends up on your site that you don’t have the rights to, it’s YOU and not the designer who is ultimately responsible. You are the one who owns the domain, you’re the one who owns the brand that is profiting from unlicensed imagery, and you will be the one that faces legal consequences down the road if it ever comes to that. Instead of letting your web designer or developer grab images off of the internet, instruct them to use stock photography for your site’s graphics. 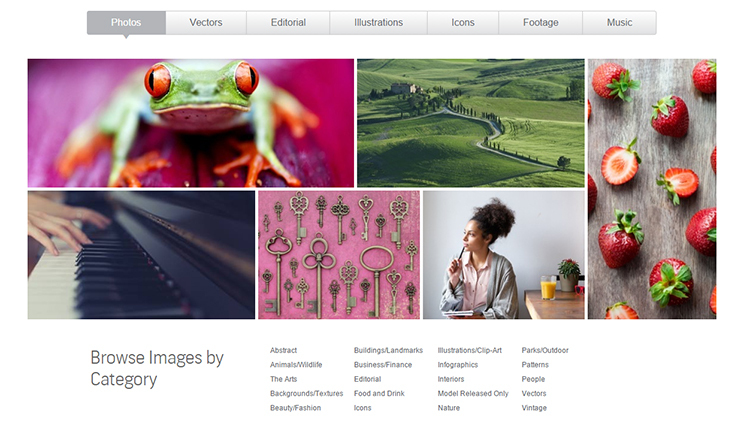 Every stock photo sold by a stock photo sold by a stock photography vendor is licensed for commercial use, meaning the artist who has captured the image has given the buyer permission to use the image in various ways, including on your website. All you have to do is instruct your web designer or developer to use strictly cheap stock photos, and give them a budget to do so, and you won’t face legal issues down the light due to incorrectly licensed imagery. 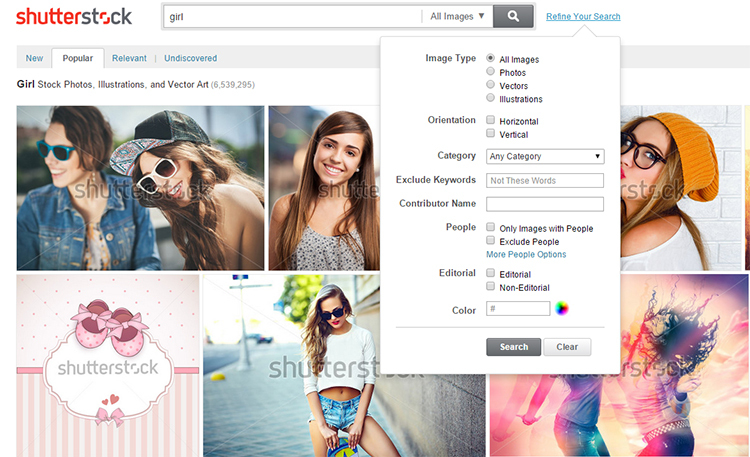 If you shop around, you can get cheap stock photos for only a few dollars, meaning you won’t have to invest a huge amount to fill your whole website with graphics. And investing in cheap stock imagery today is like insurance for the future, as you could save a ton in potential legal fees and time wasted if you use incorrectly licensed imagery on your site and have to deal with repercussions down the line. Even if a web designer creates your whole site and you never see the images they use before your site is launched, you are ultimately the one responsible for those images once they hit the web. And if they are incorrectly licensed or randomly pulled off of the internet, you will be the one who faces the legal consequences, not your web designer or developer who originally selected the images. The best, cheapest way to protect yourself is to just skip the risk and tell your designer to rely on cheap stock photos. Doing so gives you access to lots of high quality, professional imagery that is all licensed for web use. If you decide to take the risk and use incorrectly licensed imagery, just know that it’s your name and business on the line, not your web designer’s.